Deep within the war on cholesterol lies the supervillain, LDL cholesterol. When your doctor orders ‘cholesterol tests’, this is what happens. 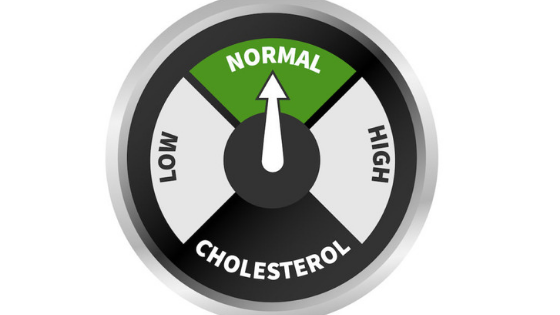 Total cholesterol, triglycerides (TG), and High-Density Lipoprotein (HDL) are measured. LDL (low-density) cholesterol is calculated (estimated). The ratios of these lipids tell us about our metabolic health. There is an over-emphasis on LDL being the primary marker of heart health. This oversimplification reflects a lack of understanding of lipid homeostasis. The lipid system is incredibly dynamic. 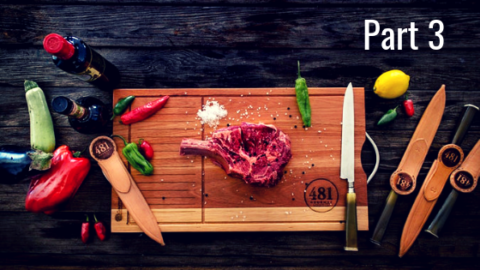 This article is dedicated to helping you better understand the fats (lipids) in your blood. HDL and LDL are lipoproteins – transport mechanisms that carry important nutrients, to parts of the body that need them. 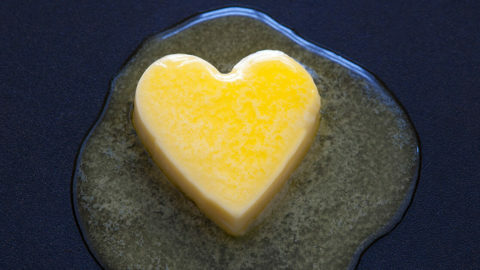 Lipoproteins contain cholesterol, triglycerides, amino acids (such as Co-enzyme Q10), fat-soluble vitamins (such as Vit. A and Vit. 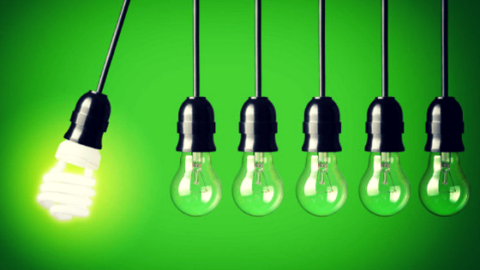 E – a powerful antioxidant), and many other structural factors. We know that water and fat don’t mix. Lipoproteins exist to distribute these fat-soluble nutrients in the blood – a water-based system. This is their primary role. LDL makes up 60-70% of total body lipoproteins. LDL has many roles; but when it comes to cholesterol, LDL carries ‘fresh’ cholesterol to cells and HDL scavenges ‘old’ cholesterol back to the liver for recycling. There is only one type of cholesterol, but there are different types of lipoproteins. Lipoproteins are also involved in the repair of damaged blood vessel walls. 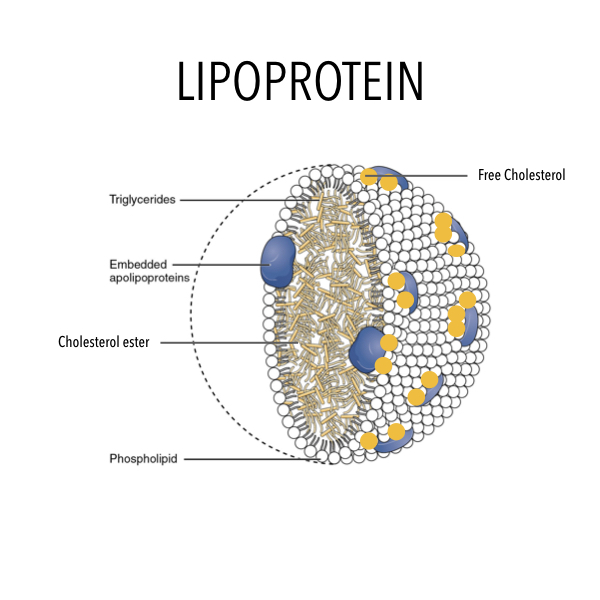 Lipoproteins differ based on their size, amount of cholesterol and triglycerides they carry, and on the type of proteins that are embedded within the walls. Let’s put these into context by describing their origins. When we eat fat, any fat, it first binds to bile salts in the bowel. This process breaks down fat into tiny, microscopic particles, which are then absorbed into the cells of the gut. This absorbed fat is then packed into a chylomicron – a very large lipoprotein. The chylomicrons travel through the thoracic duct (a special vessel) and are then released directly into the bloodstream. They do not pass through the liver. As the chylomicrons travel around the body, they deposit their fat into cells, such as fat and muscle cells. In doing so, they shrink in size. This results in ‘chylomicron remnants’ which are absorbed back into the liver, using LDL receptors. Within the liver, they are broken down and their contents recycled. All ingested fats go through this process. Saturated or unsaturated. LDL has many roles, but its primary job is to distribute energy (triglycerides) from fat. 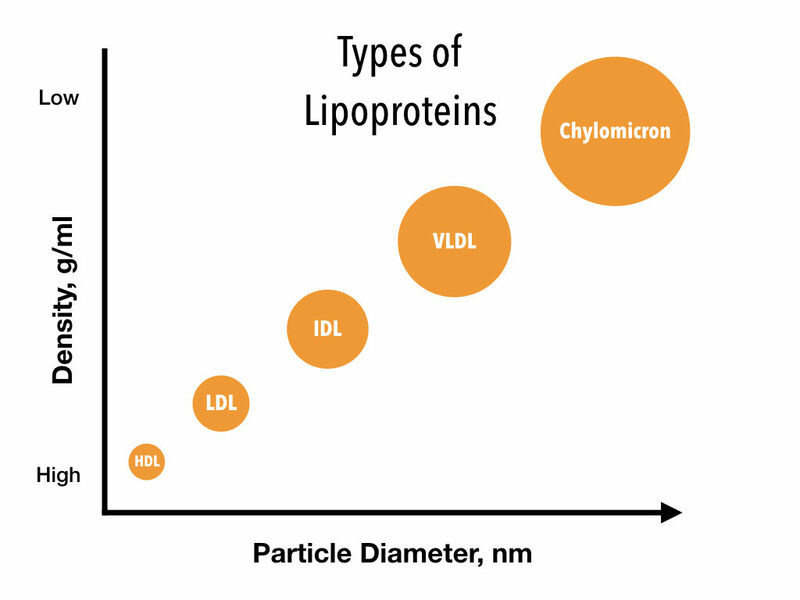 LDLs are created from VLDLs (very low-density lipoproteins). VLDLs are made in the liver. They contain – amongst other things – fat (triglycerides) and cholesterol. These VLDLs travel around the body delivering fat-based energy to the cells that require them. As they reduce in size, they become an IDL and then an LDL. LDLs contain fewer triglycerides and proportionately more cholesterol. Dave Feldman, a prominent lipid researcher, uses the cruise ship analogy to illustrate the role of LDL. The ship is the LDL particle, the passengers are the triglycerides and the lifeboats the cholesterol. 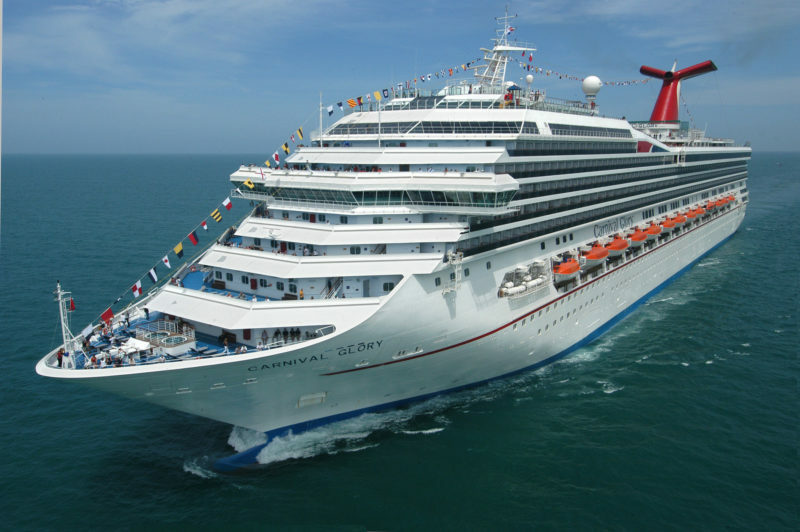 The main role of the cruise ship is to transport passengers (triglycerides) – not lifeboats. The lifeboats are still very important and will be used when needed. The cells that require more cholesterol will synthesise an LDL receptor. This allows circulating LDL to bind with and get moved into the cell. LDLs job, therefore, is to transport nutrients and other important molecules around the body. It is not good or bad. It just is. The vast majority of LDL molecules are removed from the circulation by the liver. Here it is broken down, and its constituents recycled. LDL contains embedded proteins, such as ApoB100. Apolipoproteins extend throughout the surface of the LDL particle, providing stability while facilitating transport and other functions. ApoB is LDLs primary apolipoprotein and thus, the structural backbone. This is a signaling molecule that allows the LDL particle to be taken up by the liver and removed from the circulation. Think of it as a docking signal. Several processes can lead to harmful modification of LDL. Damage to various components of LDL can render it more likely to contribute to disease, specifically atherosclerosis. These modifications include oxidation, glycosylation, and glycoxidation. Oxidation – modification of apoB100 with oxidised products e.g. free radicals. 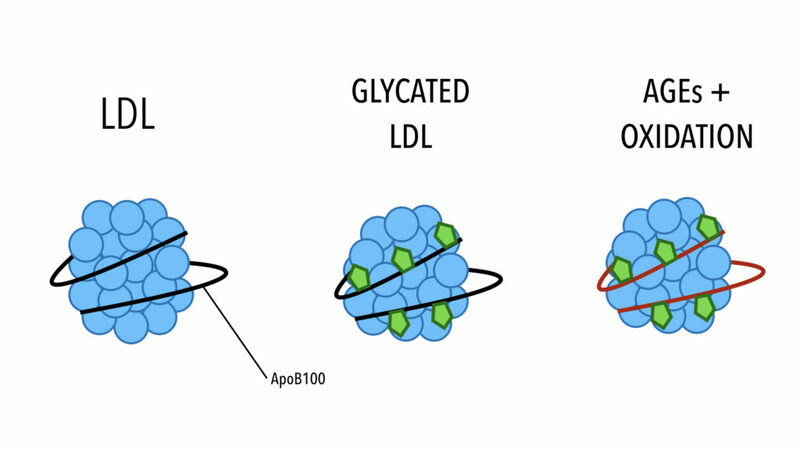 Glycosylation – modification of apoB100 and LDL with advanced glycation end-products (AGEs). In glycation, sugar attaches to the protein strands (apoB100). This starts to modify it. As the sugar damage progresses to AGEs, this destroys the ability of LDL to bind to the LDL receptor in the liver. The LDL cannot be recognised by the liver, and therefore, cannot be cleared from the circulation. 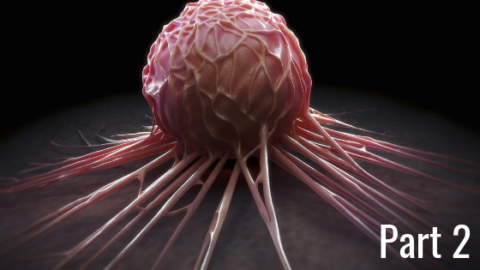 Having failed to be recognised by the liver, the damaged apoB100 LDL is taken up by scavenger receptors on macrophages (a type of white blood cell that engulfs and digests cellular debris and other foreign materials) and on endothelial cells (cells that line the inside of blood vessels). This scavenging happens inside the walls of the blood vessel. This is where damaged LDL ends up. We now understand that this process is accelerated by concurrent oxidation (glycoxidation) of the LDL particle. To confuse matters more, LDL can be separated into different patterns. Pattern A (large, buoyant) – this is non-oxidised LDL and is harmless. 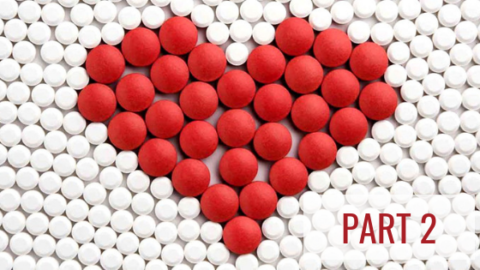 Pattern B (small, dense) – these LDLs are harmful and are associated with oxidation. Many doctors worry about small, dense LDL. These are often thought of as the dangerous LDL that is small enough to burrow into the blood vessel wall, causing damage. This is incorrect. I have just explained the mechanism with which LDL ends up inside the blood vessel wall. 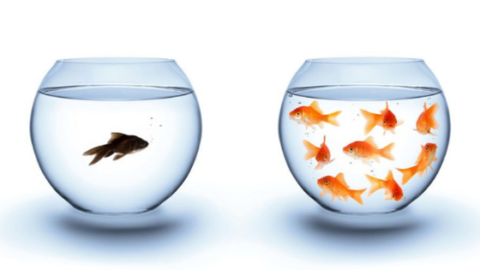 The difference in size between small dense LDL and large buoyant LDL is actually quite small. The observed difference is now understood to be a result of glycation, which reduces the size of LDL from Pattern A to Pattern B. High blood glucose levels increase LDL glycation and increase Pattern B LDL. Studies show that those with more Pattern A LDL have a significantly lower rate of death than those with more Pattern B. In this particular study, more than double the participants with Pattern A were surviving after 5 years. LDL, in isolation, is a very poor surrogate marker for heart disease. What we should be worried about is triglycerides (TG), and maintaining a healthy TG to HDL ratio. It is widely accepted that the TG: HDL ratio is the most exquisite measurement of metabolic health, with a ratio of < 2.0 being the target. Triglyceride levels reflect the amount of sugar and carbohydrates in the diet, not the amount of fats you consume. Evidence suggests that when plasma triglycerides exceed a critical threshold of approximately 133 mg/dl (1.5 mmol/l), this favours the formation of small, dense LDL from larger, buoyant particles. A high LDL level, on its own, is not a concern. It is only when it gets damaged (modified) by excess dietary sugar that the problems start. A high carbohydrate diet is, therefore, the main dietary contributing factor to abnormal LDLs. Remember that complex carbs are simply long chains of glucose molecules, that will be broken down into glucose (a simple sugar). Sugar is sugar. Conversely, a low carbohydrate diet is associated with a shift from Pattern B (harmful) LDL to Pattern A (safe) LDL. Inflammation, oxidative stress, abnormal clotting, and advanced glycation play a significant role in the development of heart disease. Cholesterol is just one piece of the puzzle. In hyperglycaemic (high blood sugar) states, as described above, LDL changes its shape, becomes smaller and stickier, and much more likely to adhere to damaged arteries. 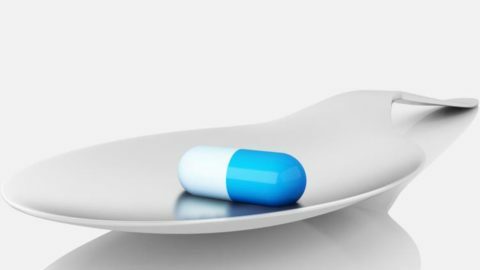 The solution, however, is not to statinate everyone, but to address the underlying issues that are causing the injury/damage in the first place – and in this example, it stands to reason that aggressive blood sugar control should be the presiding focus. A high carb diet has adverse effects on all risk markers, except LDL. This is a safe, drug-free approach to normalising your blood lipids (fats). As far as I am aware, there are no studies that show that those with high HDL, low TG, and high LDL, have high rates of cardiovascular disease. The PURE study revealed that the national recommended diet (>55% carbs) has adverse effects on all risk markers, except LDL. This means that LDL, in isolation, is a very poor surrogate marker for heart disease.